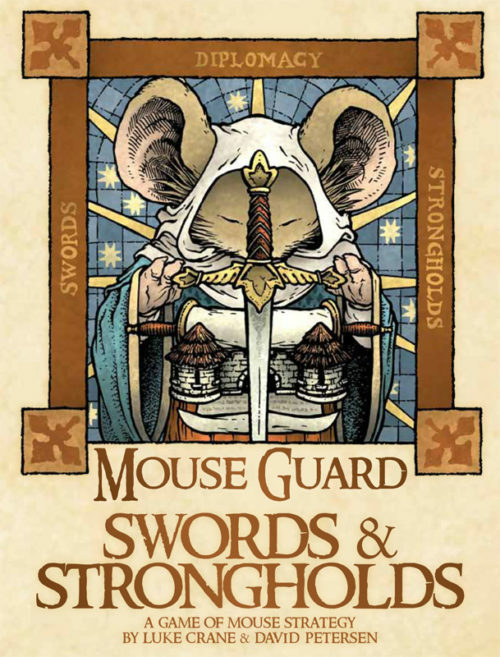 Swords & Strongholds is a two player light strategy game out of the pages of the Mouse Guard comic. It’s fast, it’s fun, and it’s attractive. The game is based in the comics, not on the comics. So although the pieces are mouse shaped, you are not playing mice in the game. 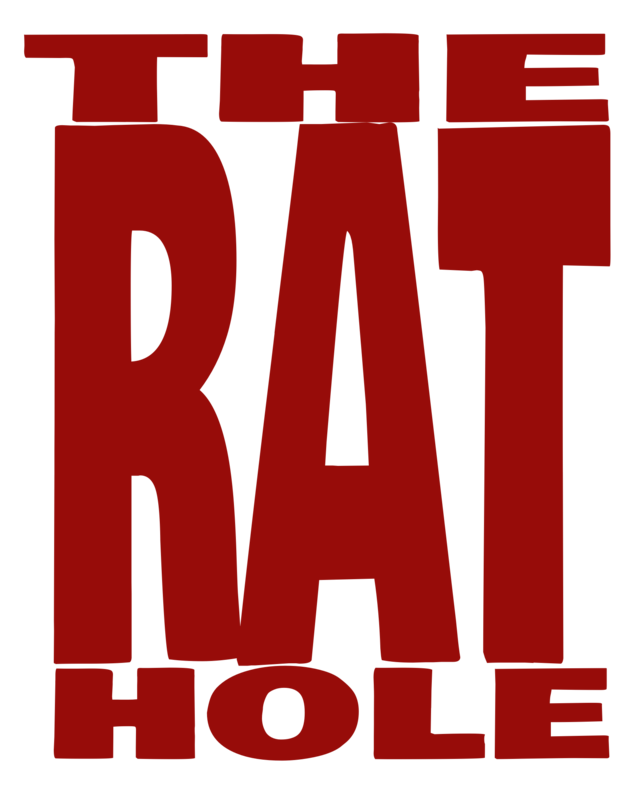 Each player has four mouse-shaped pawns that move orthogonally along the intersecting lines of a grid. After a pawn moves (and one must move if they can) that player has the option to use a card from their hand on that pawn. There are only three card options, Swords, Strongholds, or Diplomacy. A Sword card allows that pawn to two additional moves, pushing any other pawn or pawns it encounters. Each space moved may be in any non-diagonal direction, and does not need to be in e same direction as the previous movement. If an opponents mouse is pushed off the edge of the board by the movement from a Sword card, they are captured. A Stronghold moves the pawn off of the grid lines, and into a square adjacent to their location. Once a pawn is in a stronghold it can not move, except to leave the stronghold. It can not be pushed by a Sword card, and the intersecting grid points at its corners cannot be moved into, and any pawn that was on those corners is pushed away. You can’t capture using a Stronghold card, so if a pawn can’t be pushed into a legal position, you can’t set up a Stronghold in that square. A pawn can willingly leave a Stronghold, reentering the grid on an adjacent corner, but are not able to play a card when doing so. Diplomacy does one of two things, depending on which of a that player’s opponent’s pawn is closest. If the closest pawn is on a regular grid point, the two pawns trade places. If the closest pawn is in a Stronghold, they are pulled back onto one of the adjacent grid points, but not swapped. A player wins if they are able to build a stronghold in either of their opponent’s corners of the board or if they can capture all four of their opponent’s pawns. The whole thing doesn’t take long to play, I don’t think we had a game longer than 30 minutes, and the quality of it is amazing. The wood board fits neatly under the plastic insert, and the pawns themselves are very fun. They are a molded plastic but have the texture and look of hand-carved wood or maybe a walnut shell. If I ever open a pub, this is a game that will be sitting out to play, it just fits that atmosphere. There really is nothing I can say about this game that isn’t positive. In fact, it really makes me want to check out the Mouse Guard comic and RPG. Pick this up. You can find out more about Mouse Guard at mouseguard.net and The Burning Wheel online at burningwheel.com and on Facebook at facebook.com/TheBurningWheelOfficial.